University of Edinburgh, M.A. (1st cl hons) Classics; B.D. (1st cl hons) Eccles.Hist. ; Ph.D, D.Litt. 1966-69: Graduate study , Heidelberg,Paris, Zurich, Basel, Cambridge (Churchill- MA 1973). 1969-70 Assistant Minister, Muirhouse, Edinburgh. 1969 Lecturer in Divinity, University of Glasgow. 1970 Lecturer in Systematic Theology, University of Glasgow. 1975 Fellow of Wolfson College. 1982 Fellow and Dean (and Chaplain 1982-84), Trinity Hall. 1986 Professor of Divinity, University of Glasgow. 1986-82 Head of Department of Theology and Church History. 1988, 1989, 1990 Dean of the Faculty of Divinity. 1991-97, 2001- , Principal of Trinity College,Glasgow (Church of Scotland). HEFC RAE Panel 1996, 2001, 2008 (Chair) Theology,Divinity and Religious Studies . Netherlands Academy Research Assessment Panel, 1999. Church of Scotland:Convener, Panel on Doctrine (1995-9). Mem. Church and Nation Ctee, Board of Ministry. Mem. European Cttee,World Alliance of Reformed Churches,(1988-95) Member, Scottish Churches Initiative For Unity, 1996- 2001. Recent External reviews, Kent 2004, Christ Church Canterbury, 2004, Free Univ Amsterdam 2004. External Examiner , Oxford 2004, 2005 (M Phil and M St. courses). My research centres on substantive issues of constructive theology, and particularly on interpreting the love of God. The focus is on the multi-layered impact of a Christology of divine love, developed through five monographs (I began to look at concepts of love as key to exegesis in theology in my Ph.D. thesis, published as Hilary of Poitiers- a study in theological method, 1978). Theology of the Love of God (1980) explores concepts of the love of God as the basic structuring element of Christian theology. In engagement with interpretations of love in the tradition, and with contemporary use of concepts of faith, hope and history, it is proposed that the nature of God as love shapes every aspect of theology. This is exemplified through analysis of the relationship between creation and redemption, understood as one dynamic movement, disrupting boundaries of redemption. In God in Christian Perspective (1994) the enterprise is developed further. An understanding of God as a multi-faceted model draws on Christology and Trinity, faith and practice in community. God is personal, self-differentiated being, transcendent, yet also immanent in the created order as hidden divine presence. The core elements faith and revelation, divine action and Christology are reappraised in the light of current theological proposals. Doctrines interact in a web of connection to shape Christian practice. A Christian understanding retains the basic core of unconditional love, Christologically characterised. A contemporary concept of God draws upon these core elements, and upon a retrieval of the historical traditions from which they arise. It can be articulated in language intelligible to contemporary citizens, and its consequences spelled out within the complexity of contemporary cultures. 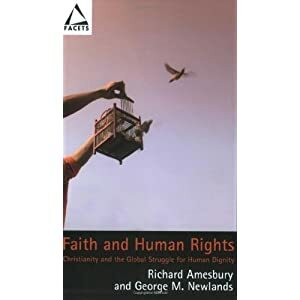 Generosity and the Christian Future (1997) carries this thesis to a further stage through engagement with the emancipatory theologies, postmodernity, and political theory. The study re-imagines the framework of the divine love conceived as generosity. The need to be as alert to potential future as to past developments, and to relate doctrine to political theory and cultural issues, is grounded in theological more precisely kenotic Christological argument. Attention is paid to issues of human rights, violence, gender and the power structures of the churches themselves. John and Donald Baillie Transatlantic Theology (2002), built on first access to the Baillie Papers, lies at the heart of this submission. I regard the work of the Baillies as seminal to the understanding, justification and revisioning of a progressive Christian theology. This is a theological biography of the Baillie brothers. It traces in detail the interaction of their theology within the cultures in Europe and America in which they worked notably in the circle of the ‘critical realists.’ It sheds light on the huge influence of the Baillies in Scotland. This tradition is a trajectory against the stream today. I judge it to offer significant resources, combining conceptual plasticity with distinctive direction, for the future. God in a postfoundational frame. Reciprocity between ethical issues and questions of transcendence is explored. 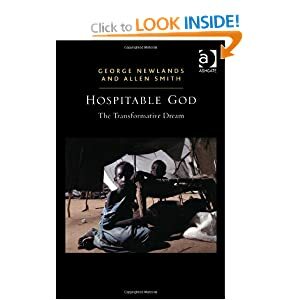 This yields a reconception of theological methodologies, in which theology, and paradoxically Christology, is seen as a catalyst rather than a trump card in interdisciplinary projects exemplified through specific instances in the humanities, the sciences and in politics. Glasgow, 1969-73, and since 1986. Courses in systematic theology, the history of Christian thought, philosophy of religion and Christian ethics. Extra-mural lectures, graduate supervision. Cambridge, 1973-85. Methods, sources and norms of theology, with particular reference to Aquinas, Schleiermacher and Barth; modern Continental theology; God, Man and Salvation (survey course); Christology, Systematic Theology, Criticism and Biblical Authority, Patristic Texts; undergraduate supervision. Postgraduate examining: Cambridge, London, Edinburgh, Glasgow, Aberdeen, Stirling, Durham, Exeter, St.Andrews, Nottingham,Liverpool, Oxford, Nottingham,Gloucester. Senate of Trinity College, 1970-73 and 1986-, Trinity College Financial Board,(Chmn 1991-7, 2001-) Cambridge. Member of Faculty of Divinity from 1973, Faculty Board 1974-78 (Secretary 1976-77), 1979-85. Degree Cttee. of Faculty 1974-79, 80-81, Appointments Cttee, 1977-78. Chairman Liaison Cttee, 1979-80. Director of Studies in Theology, Churchill, Wolfson and Lucy Cavendish Colleges, Trinity Hall.Mem. of Governing Body and various Cttees, Wolfson College and Trinity Hall. Wolfson College – Hon. Chaplain, Dep.Praelector. Mem.Fell.Cttee. ; Mem. Soc. for Study of Theology (Cttee.1973-75,1989); Ges. fur wiss.Theol. ; Amer.Acad of Rel. ; Cambs.C.C.Cttee for R.E. ;Sec.Cambs.Theol.Soc.1974-76; Sen. Treas.,Trinity Hall Boat Club 1985. Budapest,Hungary, 2000-; Centre for Interdiscipinary Study of Religion, Birkbeck College, London, 2000- Church of England: Consultant to Archbishops’ Doct.Comm. 1983-86, Mem. of Council, Lincoln Theol. Coll. 1982- 86. Cons. to Anglican-Scandinavian Churches Conf.,Finland 1986, ABM Examiner 1990-4.Episcopal Church in Scotland: Mem.of Synod. Delegate, Scottish Churches Initiative For Unity, 1996- 2001. Lect Cttee. Chmn, Trinity College Financial Board. Faculty Cttees and Boards of Studies, Inst. Of Art History, Centre for Literature, Theology and the Arts. Cert. Mgmt. (OU), FRSA. Univ. of Marburg, Univ. 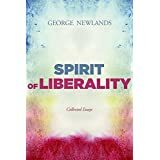 of Lille, Union Theological Seminary, Richmond VA, Soong Sil University, Seoul, Korea, summer school lectures, St Andrews, WARC cttees, Church of Scotland and Church of England groups and cttees, churches in the UK and Europe, USA and Korea.